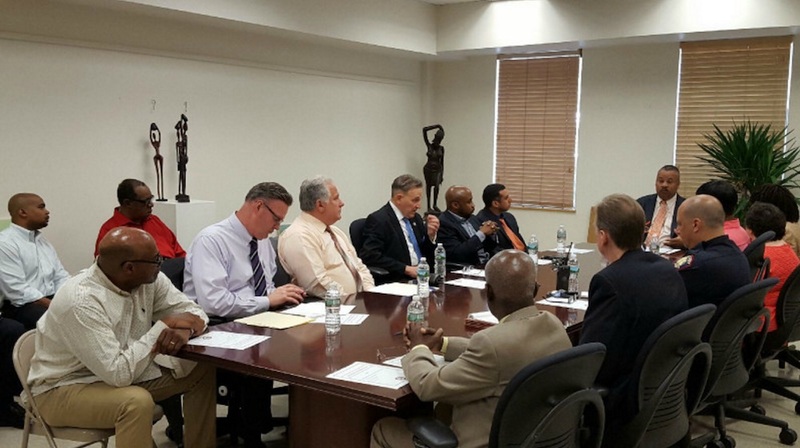 Jersey City, N.J. – Yesterday, Congressman Donald M. Payne, Jr. (NJ-10) marked National Gun Violence Awareness Day by hosting a forum on gun violence prevention that brought together stakeholders for a comprehensive discussion on how to make New Jersey communities safer. 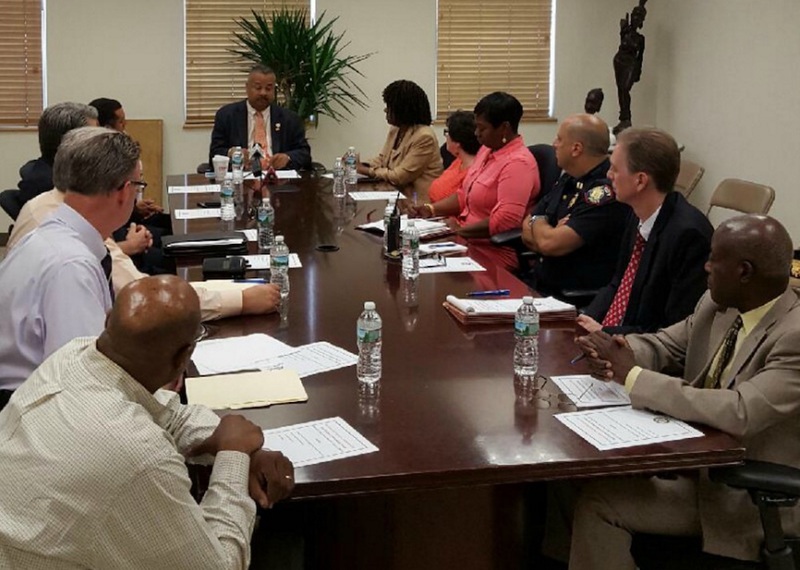 The forum, which Congressman Payne, Jr. convened at the Mary McLeod Bethune Life Center in Jersey City, included law enforcement members, elected officials, mental health experts, school officials, and advocates. “Gun violence is not just a police problem, it’s not just a community problem—we all have to come together to solve it,” said Captain Timothy Lockwood, South District Commander at the Jersey City Police Department. As a member of the Congressional Gun Violence Prevention Task Force, Congressman Payne, Jr. continues to support efforts to take meaningful steps to reduce and prevent gun violence. In December 2015, Congressman Payne, Jr. introduced the Safer Neighborhoods Gun Buyback Act, legislation that would keep guns out of the wrong hands by creating a federal gun buyback program that incentivizes gun owners to voluntarily get guns off the street. Congressman Payne, Jr. is also a cosponsor of the bipartisan Denying Firearms and Explosives to Dangerous Terrorists Act, which would close the FBI’s Terrorist Watchlist gun loophole.